FROM HWY 75/CENTRAL EXPRESSWAY, TAKE EXIT 39 ELDORADO PARKWAY, GO WEST ONE BLOCK, TURN LEFT ON CRAIG DR. PLEASE VISIT US ONLINE AT WWW.SOCIALSECURITY.GOV. IF YOU NEED TO VISIT OUR OFFICE, THE BEST TIME TO DO SO IS WEEKDAY MORNINGS AT 9:00 AM. The Mckinney Social Security office is located in Mckinney 75070. The following page includes information for this location like the office phone number, hours of operation and driving directions. If you have any interests or comments about your retirement benefits or are interested in making an appointment, call the following Mckinney Social Security office. The Mckinney Social Security office is located in Mckinney 75070. The following page has information for this location like the office phone number, hours of operation and driving directions. 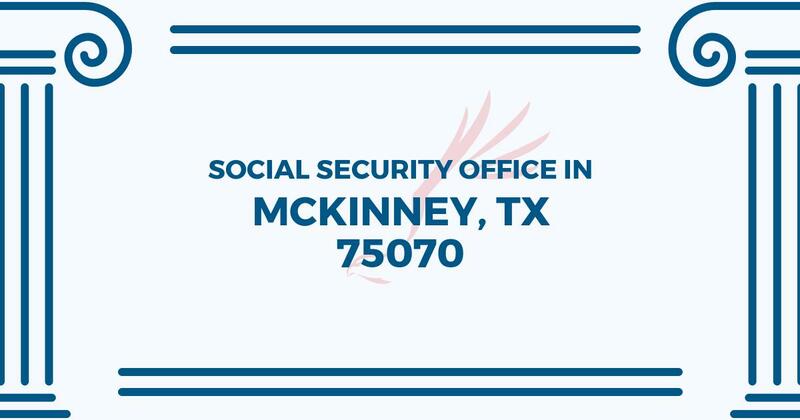 If you have any questions or concerns about your disability benefits or are interested in making an appointment, call the following Mckinney Social Security office.